The group was a watchdog for oil, gas, and mining industry corruption. The Trump administration announced yesterday that it is withdrawing from a global effort to bring transparency to oil, gas, and mining industries known as the Extractive Industries Transparency Initiative (EITI). And it is blaming US law for being unable to participate in the initiative any longer. In a letter to the board that oversees the initiative, the director of the US Office of Natural Resources, Jeffrey Gould, said that US law prevents the country from meeting EITI standards, although he did not stipulate which laws were in conflict. Earlier in the year, President Donald Trump rescinded a Securities Exchange Commission regulation that compelled oil, gas, and mining companies to disclose payments made to foreign governments, a rule that was seen as instrumental to US participation in the EITI. “Despite the fact the the US laws prevent us from meeting specific provisions of the EITI Standard, we look forward to working together to promote transparency, fight corruption, and ensure good governance,” Gould wrote to EITI. Opponents of the decision say that EITI standards are fully compatible with US law and fear that the country’s withdrawal could erode progress that has been made in the fight against global corruption. “It was really important that the US was implementing this alongside other countries, because it showed we practice what we preach,” Jana Morgan of the anti-corruption watchdog group Publish What You Pay told Global Citizen. They argue that the withdrawal was driven by lobbying from a handful of companies including ExxonMobil and Chevron Co. that don’t want to disclose tax payments made to the US government, which EITI would have mandated. In fact, according to Morgan, Secretary of State Rex Tillerson personally lobbied to repeal the related SEC regulation when he ran ExxonMobil. ExxonMobil, which operates in dozens of countries, maintains that it complies with all financial accountability laws around the world. Further, Gould, in his letter, said that the Department of Interior will continue to encourage financial disclosures from companies. What Is the EITI and Why Does it Matter? The EITI is a set of standards that compel companies and governments to disclose information regarding licensing, contracts, payments, royalties, and more within extractive industries. Currently, 51 nations are members of the arrangement, including Nigeria, Iraq, Peru, and the UK. The idea is that if money can be traced, graft and other unethical activities will become harder to commit. “What we hope to achieve is transparency leading to accountability, transparency leading to less corruption, and transparency leading the governments that sell off these finite natural resources to really govern the sector well, making sure the income leads to development,” Jonas Moberg, the Head of EITI, told Global Citizen. Each year, corruption costs the global economy $2 trillion, according to the International Monetary Fund. Some of the most corrupt countries in the world, including Iraq, the Democratic Republic of Congo, and Venezuela, are dominated by large extractive industries. In fact, the EITI was formed to prevent what is known as the “resource curse”: when the revenue from natural resource extraction flows to an elite few in poor nations, leaving the broader population in poverty. Moberg said that Nigeria is an example of a country that has benefited from the initiative's standards, which have netted the government billions of additional US dollars in revenue because of increased transparency. He referred to a speech given by the country’s vice president, Prof. Yemi Osinbajo, in Jakarta, Indonesia, Oct. 23 at an EITI conference. In the past, for instance, the oil giant Shell allegedly bribed Nigerian officials with $1 billion to win an enormous contract. Morgan, of Publish What You Pay, said that there are many ways that EITI and other standards can benefit countries. For example, she said that communities around the world are regularly displaced by mining or other extractive projects. Sometimes, the company agrees to compensate the displaced community through a revenue-sharing agreement, but unless the income generated from the project is publicly disclosed, the community has no way of knowing if it’s being fairly compensated. She also pointed to the ways in which extractive industries can prop up corrupt regimes. Equatorial Guinea is one of the largest oil-producing countries in Sub-Saharan Africa. It has a high per capita income, but also one of the highest poverty rates in the world, largely because of the vast corruption conducted by the president and those close to him. The US is home to some of the biggest extractive companies in the world and their participation in EITI was seen as important for getting other countries on board. But Moberg said that the EITI will continue to make progress because of how many developing countries have embraced the standards. 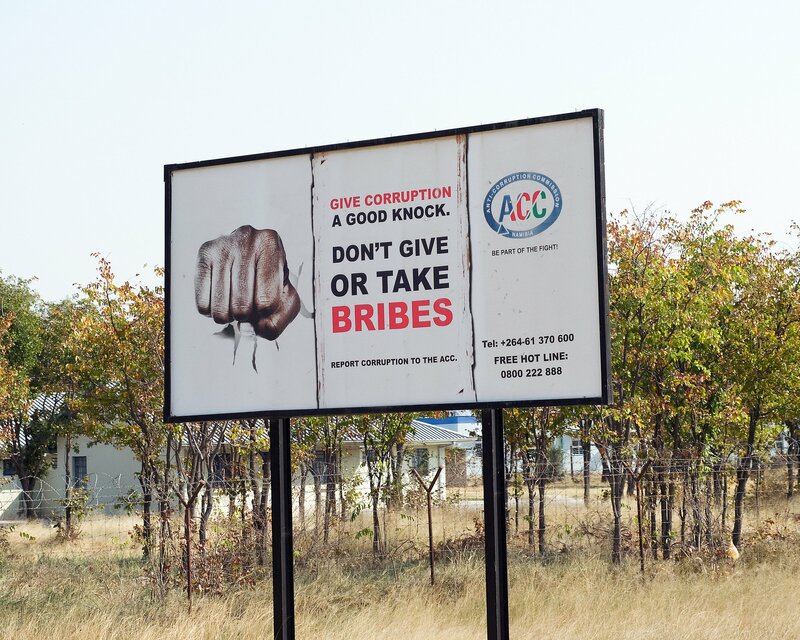 Global Citizen campaigns to end government corruption. You can take action on this issue here.